DC is pulling out all the stops to round out the month of May — plenty of singer-songwriters, folk, country, and local music highlights to satisfy everyone’s likes at all of your favorite venues! NUEX. Photo by Brandon Shields. Damien Jurado, though deemed a folk singer-songwriter, defies genre boundaries by moving seamlessly through folk, indie-rock, pop, and rock. Jurado’s punk roots play into his emotional authenticity and independence while folk influence becomes clear as listeners become drawn into his storytelling-style lyrics. He has received high marks from critics and fans, yet has to truly break out. Catch Damien Jurado on May 21 at the Rock & Roll Hotel. Buy your tickets here. Though The Cassaday Concoction is relatively new, this trio has been making waves in the DC and east coast music scenes. The band, comprised of Chris Cassaday (Micro Massive), Bryan Moran (Katita & The Fajitas) and Miles Lieder (Dale and The Zdubs,) was formed during the early part of the summer of 2017 by three friends who were in between bands at the time. The group’s signature rock, funk, and blues sound comes from their exciting mix of musical backgrounds. The Cassaday Concoction has performed their rock & roll beats and catchy lyrics to countless venues in the area. The band released a live EP this January and are slated for a full-length studio release in 2019. Support local music at the Rock & Roll Hotel on May 24. Pick up your tickets now. The Holy Knives is headed on tour in support of their brand new debut EP, Ritual Bloom, and they are bringing it right to DC for your listening pleasure. This duo, comprised of brothers Kyle and Kody Valentine, draw clear influences from bands such as Arctic Monkeys and Timber Timbre. Think grungy rock & roll mixed with just the right amount of psychedelia. The Holy Knives combines ethereal instrumentals, passionate vocals, and strong imagery for a sound you won’t soon forget. You will surely be in for an amazing show, so catch The Holy Knives at the Velvet Lounge on May 17. The captivating sound of Fleet Foxes will take over DC later this week. Their Seattle-based indie-folk roots are immediately recognizable in soft guitar plucking layered over dreamy harmonies and refined lyrics. The band’s 2011 sophomore release captured the attention of fans around the world and was nominated for a Grammy for the Best Folk Album the following year. Fleet Foxes’ highly anticipated third album, Crack-Up, was released last summer and was met with overwhelmingly positive reviews from fans and critics alike. This show is perfect for fans of Mumford & Sons and The Lumineers. Don’t miss Fleet Foxes on May 18 at The Anthem. Tickets are available here. Over the years, the name Jason Aldean has become a staple of modern, mainstream country music. His deep voice and his consistent sound is immediately recognizable and has drawn fans in for album after album. In addition to an astounding 19 number-one singles and 15 million records sold since 2005, his massive 2010 album, My Kinda Party, is now certified quadruple-platinum. Aldean is currently on tour in support of his eighth studio album, Rearview Town. Check out Jason Aldean, Luke Combs, Lauren Alaina, and Dee Jay Silver at the Merriweather Post Pavilion on May 24. Buy your tickets now. NUEX is DC’s own synth-pop duo making waves in the local scene. 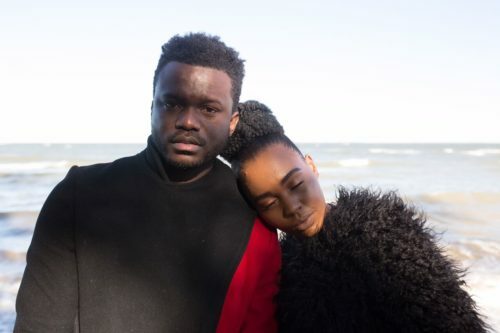 Comprised of vocalist Camille Michelle Gray and drummer/producer Teddy Aitkins, NUEX has gained plenty of attention in the Northeast for their incredible live performances. The duo’s spun-candylike, dreamy pop will be stuck in your head for hours after hearing it. Late last year, they turned heads with their performance at the Smithsonian National Portrait Gallery. This time around, you can catch NUEX at the Anacostia Arts Center on May 29 from 7 to 9 pm. The event is free and open to all. Summer festivals are gearing up on the East Coast! Keep an eye out for tickets and previewshere on The Set List!